Robert Rudigier's first solo exhibition in the artoxin gallery sheds light on the artist's early creative years, after graduating in February 2015 as a master student with Matthias Dornfeld in the class of Günther Förg at the Academy of Fine Arts in Munich. Robert Rudigier himself says with regard to his current work: "I am concerned with simplicity and, therefore, with reaching the tangible substance. I am primarily interested in pictograms, architecture, spaces, forms and landscapes." Unusual objects, formations, they fascinate and inspire me. "As an extension of his painting, Robert Rudigier sees the newly created objects and sculptures. 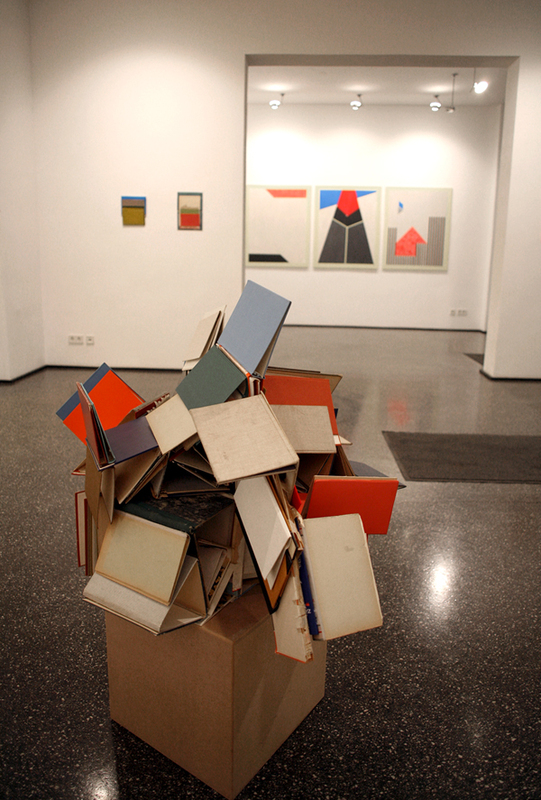 From "gutted" books made of linen, cardboard, Plastic, paper, etc., he developed a quite own and homogeneous aesthetics.